I'm BACK............... 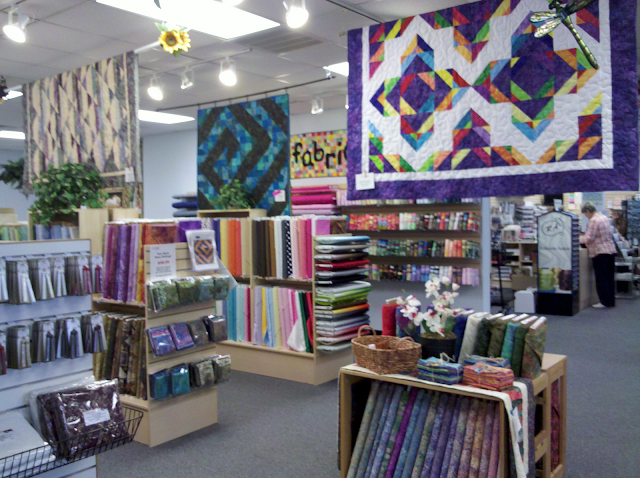 I have returned from Atlanta where I taught for a great group of gals from the Etowah Valley Quilt Guild! 19 crazy girls that did a fantastic job with their wool project - Three's Company. Thanks girls for such a great time! I got to stay with Tami - her house was in the sticks... but oh such a beautiful area! I had no idea the woods in Georgia could be so beautiful. 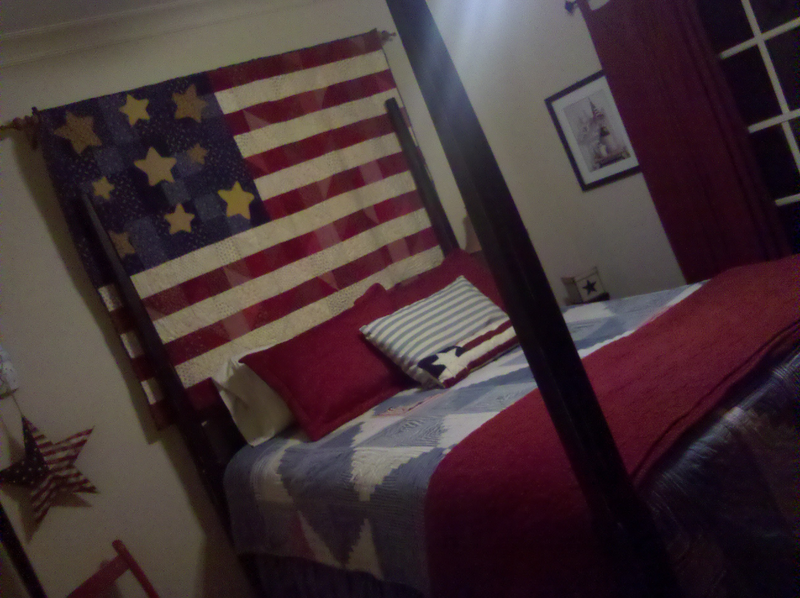 Here is a picture of my gorgeous Americana bedroom that I called home for several days! Don't you just love this bed? It was one of those REALLY high ones...the kind you need a little step stool to crawl into it. The quilt on the bed was antique!! LOVED IT! Slept like a baby! Now these florals.... 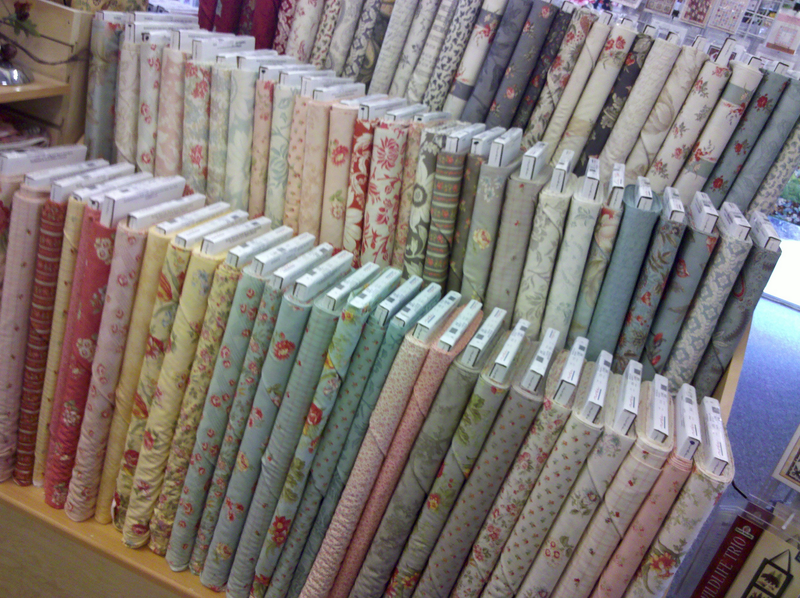 I just wanted to roll around in them...they were so gorgeous!!! 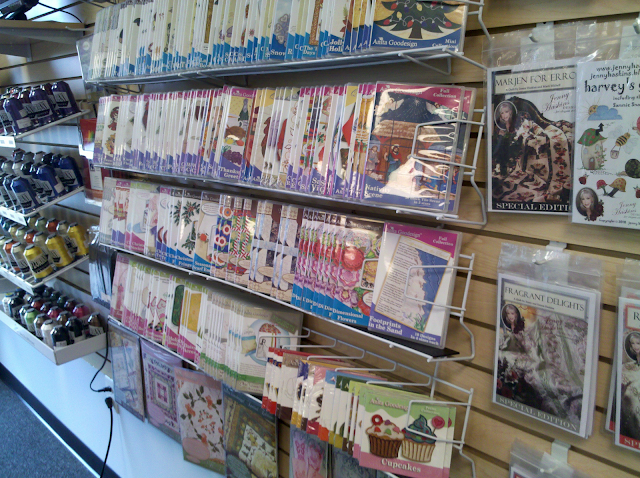 This is the batik section!!! Wow... was it ever wonderful!!! All of you batik lovers... you'll go nuts!! Karen has a wonderful area in the store where she sells machines... and her favorites are the embroidery ones. See this pin? Well let me tell you...they were making a new sample while I was there... and they will knock your socks off! There is actually a software program just for these pins. You use a product in your hoop (with your fabric) while stitching. 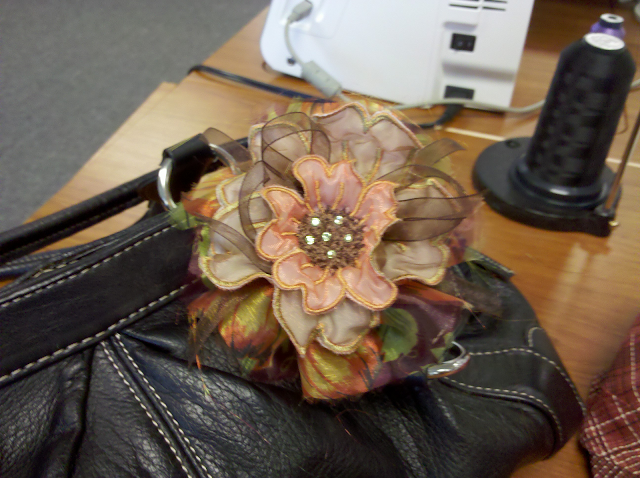 When finished stitching... you cut out the petals and then hold a steam iron over the top of the fabric (not touching). After a few spurts of steam... the flower crinkles up into these fabulous shapes!! It was AWESOME! 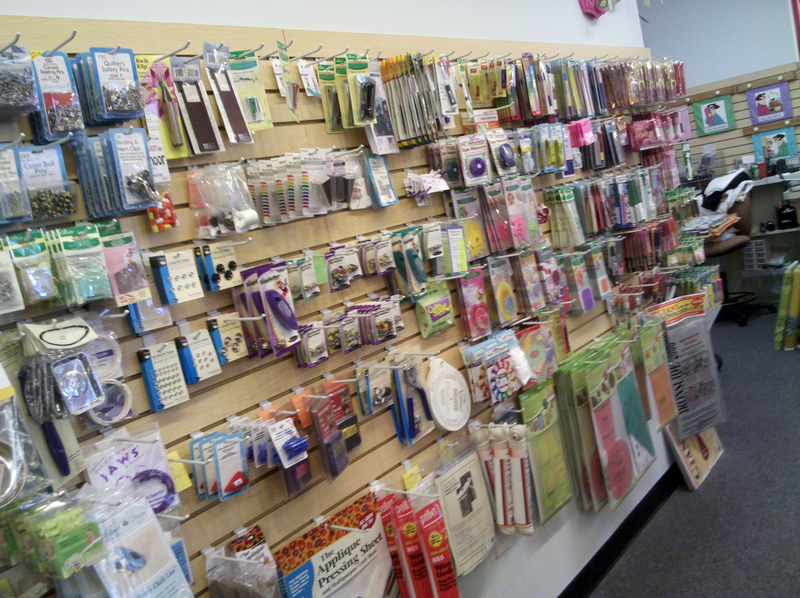 This is her embroidery machine software wall !!!!! To Die For!! 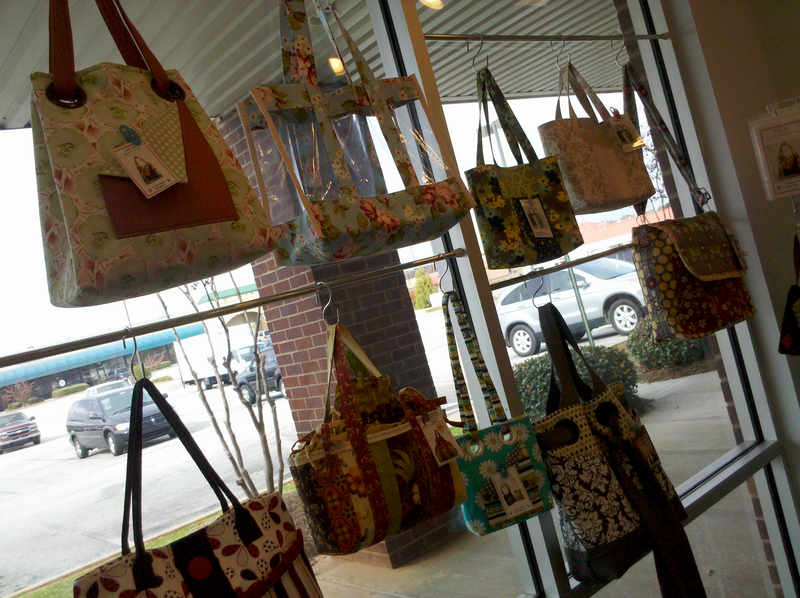 Then you'll see a section that is nothing but displays of gorgeous bags, purses and totes!!! A fabulous NOTIONS WALL !!!! 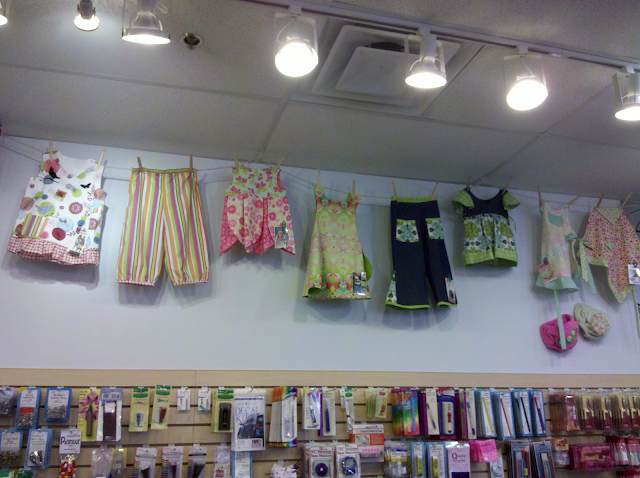 Then we have the children's clothing section!! What adorable patterns!!! This is just a small sampling of the wonderful displays at A Scarlett Thread! If you are going North on I-75 - you must stop in. It's just a short distance from the highway and WELL WORTH THE VISIT!!! Here's her web site... go take a peek !! Heck... do some shopping while you're there! Remember... to support your local small businesses! We want them all to thrive in this icky economy!! Hey... I just had a wonderful thought!!! 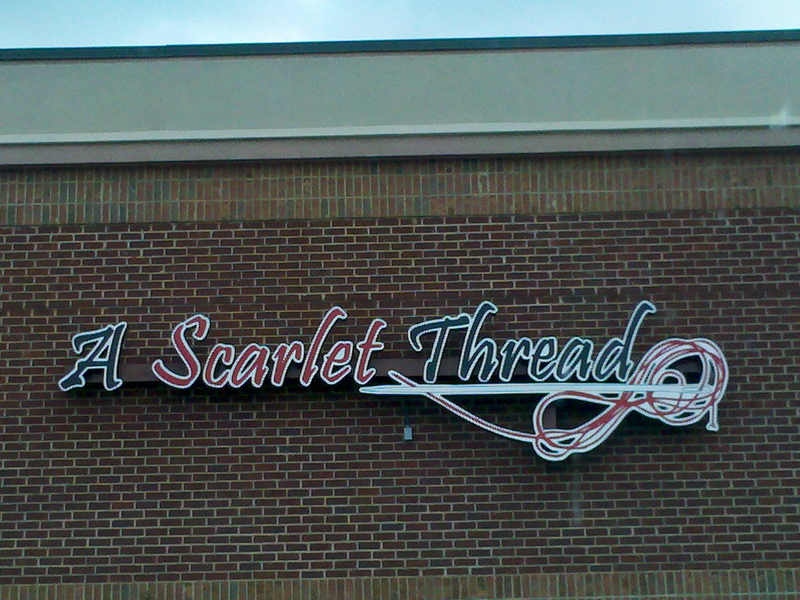 Wouldn't it be cool to plan a road trip to A Scarlett Thread? How about a BIG BUS!!!! Karen told me to give her a "head's up" on when we would like to visit...she would love to have us! Let me know if you would like to tag along??? Oh my... how much fun would this trip be? I can see us all on the bus...singing...playing games... ha!! Ok... I'm off to get busy at that sewing machine! No rest for the designer blood in me! !